Step 1. 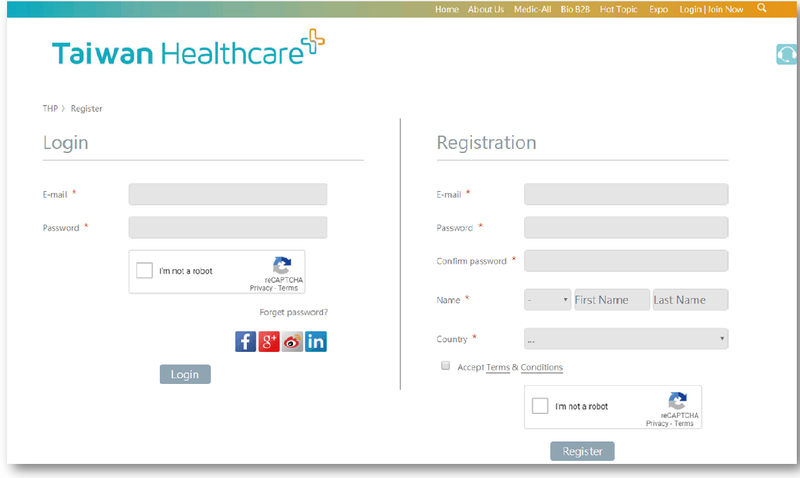 Login/Create an account in Taiwan Healthcare+. A. Please fill-in the essential information in the registration panel. B. Go to your inbox to obtain verification letter. Click “Link" to complete the registration. 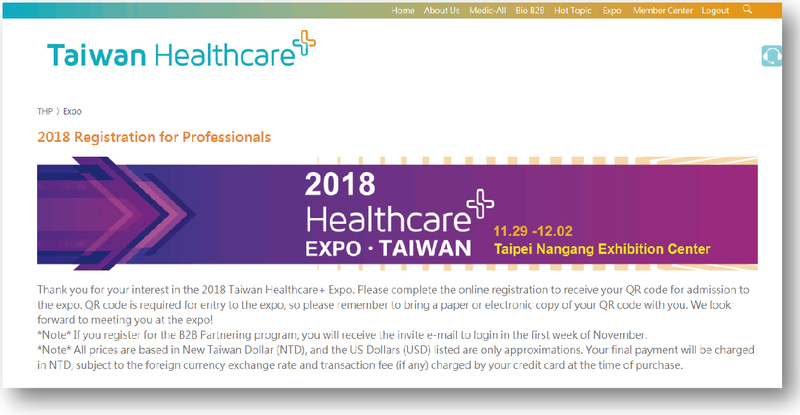 C. Login to start to register 2018 Taiwan Healthcare+ Expo. Step 2. 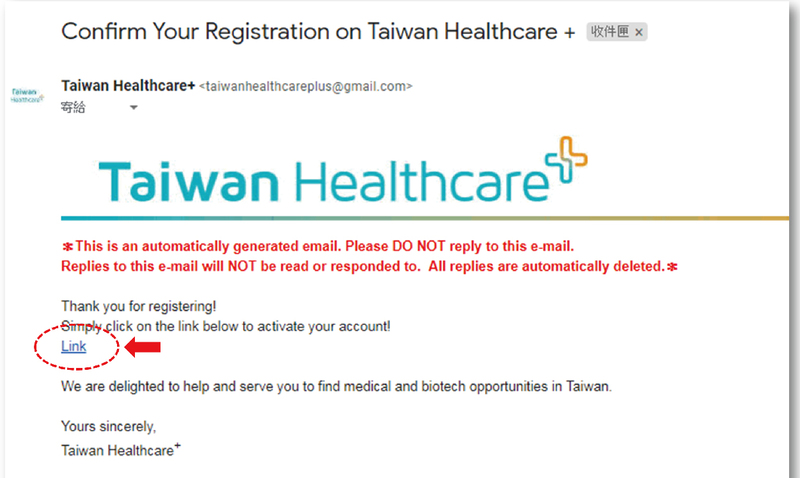 Please fill-in personal basic information to complete the registration for Taiwan Healthcare+ Expo. * Your personal information will only used by the organizer for the statistical analysis, customer management, etc., and will be managed and protected according to the information security policy and specifications of the site. * After registration, you can login 【Member Center】-【My Events】to check your registration information. For cancelation, please log-in to the system, and click 【Member Center】-【My Events】, and fill-in the reason for cancelation to inform the conference. A. Registrations cancelled before October 31th are eligible for full refund of the registration fees paid. 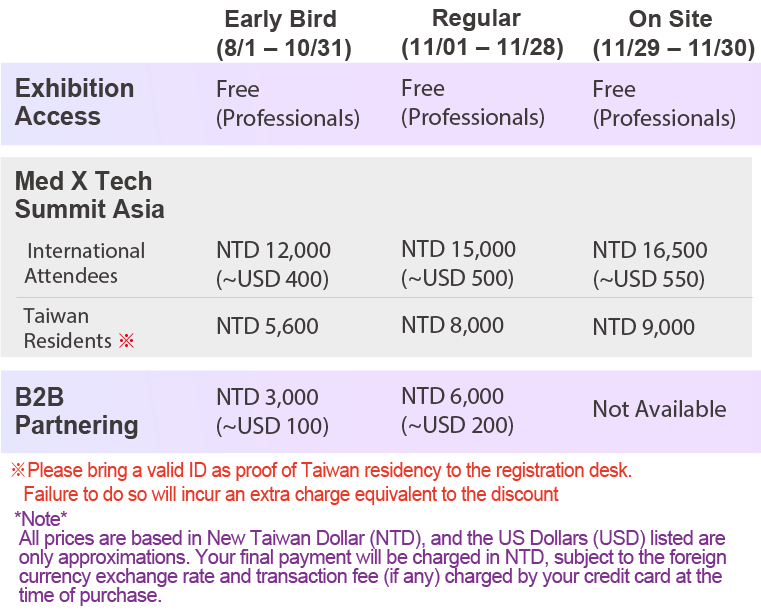 B. Registrations cancelled before November 19th are eligible for 70% refund of the registration fees paid. C. Registrations cancelled after November 20th are no longer eligible for a refund. * After received the message of cancelation, the organizer of conference will email the 「Confirmation Letter for Cancelation」to confirm accepting the cancelation. * We will start the refund process on December 10th.